The importance of the textile industry to East Renfrewshire is being celebrated in a new arts project. Locals are being invited to take part in workshops, which will describe the role textiles manufacture and printing on calico cotton played in the heritage of the area, and then create pieces of artwork that will be permanently on display. 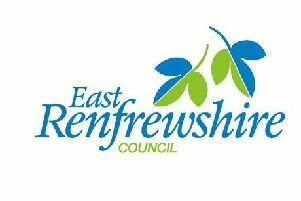 The project is being run by East Renfrewshire Culture and Leisure, as part of the Year of Heritage, History and Archaeology 2017, after the organisation was awarded an £8200 granr from the Heritage Lottery Fund. Local groups and individuals are now being encouraged to get involved by registering their interest in the project, called ‘Ebb and Flow: Industrial Heritage in East Renfrewshire’. The final pieces of artwork created will be displayed at the Duff Memorial Hall, Busby and Arthurlie House, in Barrhead. Anthony McReavy, chief executive of ERCL, said: “Many of East Renfrewshire’s modern-day towns and villages are there because of the enormous impact the water-powered textile industry made on the area. The free workshops, which are open to everyone, will be held at the Duff Memorial Hall and Arthurlie House. For more information and to register an interest in becoming involved, email artsandheritage@ercultureandleisure.org or call 0141 577 3872 or 0141 577 3710.